Cemetery San Fernando is home of many very important political figures from Mexican history, the most important, of course, is Benito Juarez, Mexico's Abraham Lincoln. 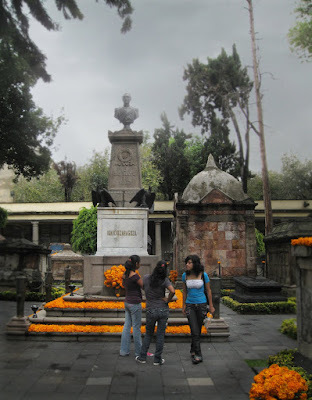 As in all cemeteries, tombs are decorated with orange flowers during the holiday. In this case, though, it's not likely relatives of the deceased make the decorations and "ofrendas".